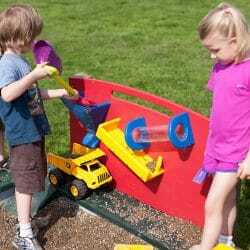 Children love digging, pouring, sifting, sorting, counting and manipulating pea gravel in this outdoor preschool playground equipment, the Truck Pit. Animals aren’t attracted to the pea gravel, so unlike sand, the gravel doesn’t have to be covered. The 9-inch wide roads, hills and tunnels of the Truck Pit are large enough to accommodate medium sized Tonka trucks and set the stage for dramatic play. 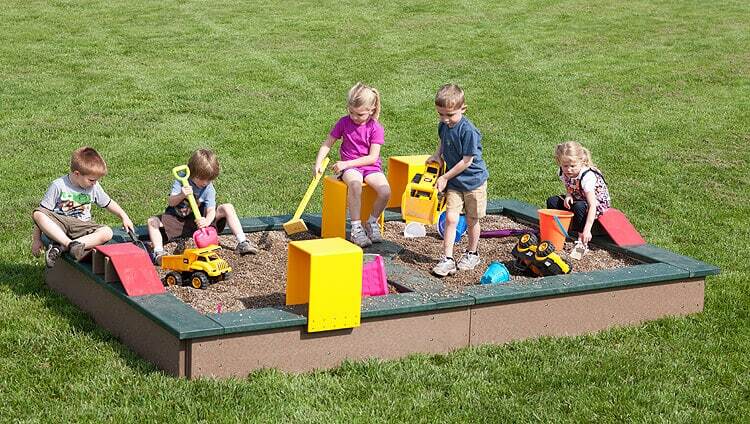 A great addition to any children’s outdoor playground, children will love traveling the roadways, hills and tunnels of the Truck Pit. Assembly required - easy assembly instructions provided.